The Paris Motor Show confirmed that the future of the automobile will depend on electric vehicles and also showed that automakers are up to the challenge. 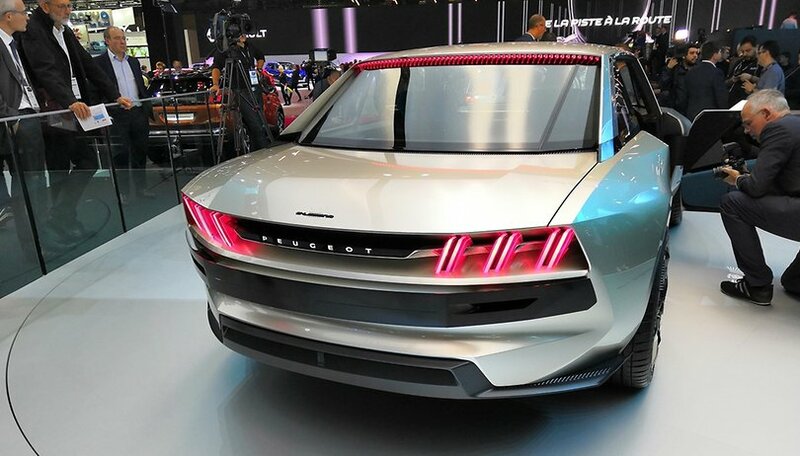 The concept unveiled by Peugeot known as e-Legend has attracted many observers. The French manufacturer is giving us a little taste of the future of electric automobiles. I’ll have to admit that Peugeot hasn’t been the best manufacturer in terms of the development of electric vehicles. Fortunately, the company from Montbelliard, France now wants to catch up and its design presented in Paris is the epitome of this development. Of course, like any other design, Peugeot’s new electric range will have its own style. At the Paris Motor Show, the brand presented a concept in the form of a coupe. Largely inspired by the emblematic 504 coupe, the Peugeot e-Legend definitely has an eye-catching and seductive look. Compared to the original model, the car has an aggressive style with clean contours. The most interesting aspect is the grille, which takes up the front side of the 504 coupe and also gives it a modern look. It’s no accident that the automobile resembles a Mustang. Its dimensions are more contemporary with a length of 4.65 meters, a height of 1.93 meters and a width of 1.37 meters. Unlike the original model, the e-Legend is an autonomous and electric car. It has two engines that reach 462 horsepower and generate great performance: it can go from 0 to 60 mph in 4 seconds and has a maximum speed of 137 mph. On the inside, Peugeot has sought to match the style of a living room. The front and rear of the cabin are both covered with a blue fabric. The front seats can be reclined, the armrests can be used as charging stations for smartphones, the steering wheel can be retracted inside the dashboard, and there are numerous screens. Peugeot has imagined a space where you could spend your time doing things aside from driving. There are two different configurations: “soft”, which optimizes passenger comfort with few distractions and “sharp”, which encourages more activity. The e-Legend also offers a personal and intelligent voice assistant that more or less resembles the one presented by BMW. It does, however, have fewer functions and is “only” available in 17 languages. Like the BMW Vision iNext, it should also be noted that the car can be autonomous (but only level 4 of autonomy). Peugeot, however, has stated that it will be possible for passengers to take control of the e-Legend at any time. The only regrettable thing about the e-Legend is its availability. Peugeot hasn’t indicated whether it will place the model into production in the near future. Would you like to see an electric car made available with this design concept? I haven't seen a Peugeot in so long, this is definitely interesting. I'm really curious if he has... Android !